Hinduism is an Indian religion and dharma, or a way of life, widely practised in the Indian subcontinent and parts of Southeast Asia. 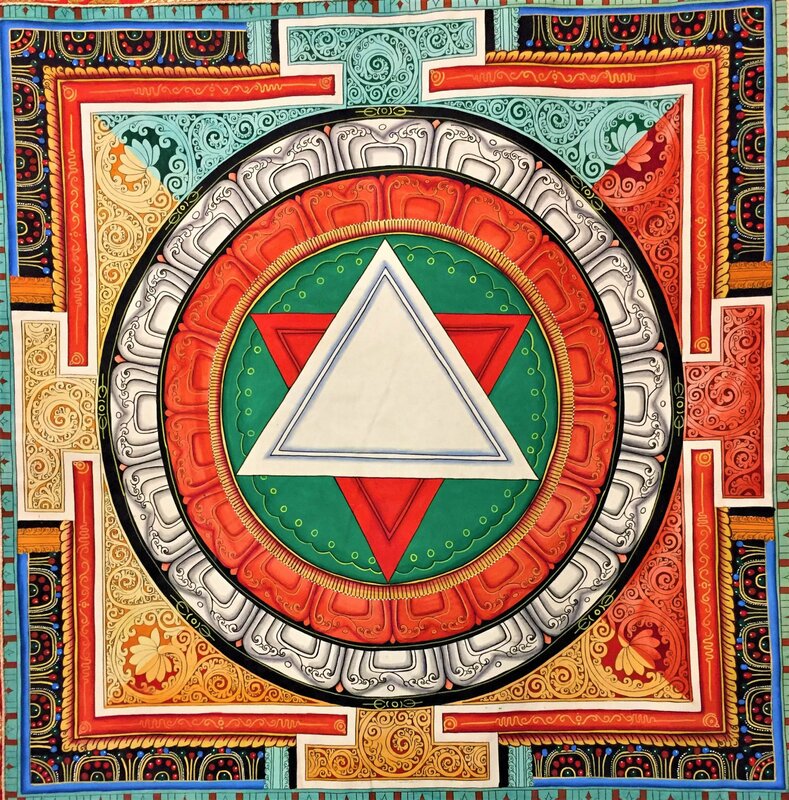 How is Sri Yantra mandala portrayed in the Hinduism? Sri Yantra Mandala is found on the walls of Temples and often inside the houses of Hindu. Sri Yantra has a direct association with divinity – goddesses Laxmi, the Hindu deity for wealth and fortune. Therefore it has immense cosmic energy in fulfilling one’s desire. The best way to meditate is to spend time in a forest, or a place in nature, far apart from human surroundings. Yogis from Buddhism and Hinduism both recommend this; and there is no quicker way to concentration. 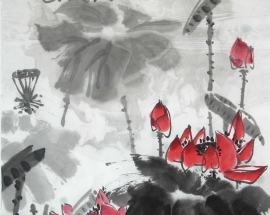 To meditate all of the day, with no impediment, lengthens concentration. The mystic path is seen very nicely in the forest path meditation, — To spend one month this way is indescribable, beautiful, and wonderful. 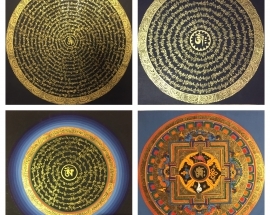 Where to find Mandalas in Nepal? 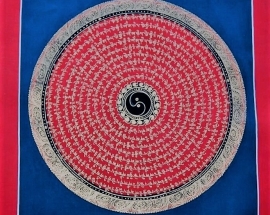 In Nepal, Mandalas are generally found in the streets of Thamel in Kathmandu. There are a lot of Thanka Shops in Thamel area. We can also find them in the Art Schools, temples, museums and monasteries. 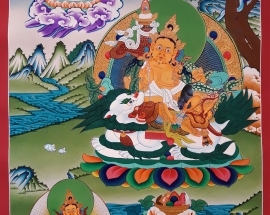 Thangkas are painted in Art school like Changu Thangka Painting School. 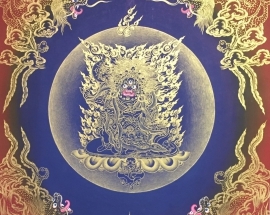 Changu Thangka painting school is situated in Bhaktapur. 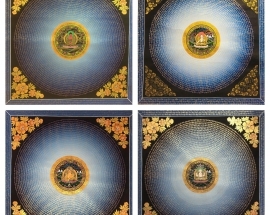 According to an artist at Changu Tangka School Saroj Moktan, Mandala is not only made by Buddhist monks, but it can be painted by anyone who has an interest in art and paintings. Mandalas are also found in Janaki Temple of Janakpur district. The mandalas made around the Janaki temple portrays the life of God Ram and Goddess Sita, and the story of Ayodhya. In the temples, the Mandals are made on the ground of Hinduism while in Monasteries, Goombas and Art School mandalas are made on the ground of Buddhism. Mandala is a spiritual and ritual symbol in Hinduism and Buddhism, representing the universe. 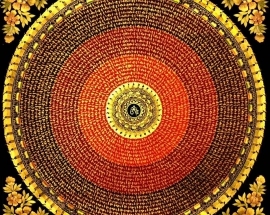 In common use, Mandala has become a generic term for any diagram, chart or geometric pattern that represents the symbol of a microcosm of the universe. Kamala is the tenth of the ten Mahavidya Goddesses. Goddess Kamala or Kamalatmika is considered the most supreme form of the goddess who is in the fullness of Her graceful aspect. She is not only compared with Goddess Lakshmi but also considered to be Goddess Lakshmi. She is also known as Tantric Lakshmi. The goddess in the form of Kamala bestows prosperity and wealth, fertility and crops, and good luck. Hence She is Devi . The root chakra is also called Muladhara in Sanskrit which is primary energy storage. It is located at the base of the spine in the vicinity of the coccygeal plexus beneath the sacrum. It is associated with your most basic survival needs. Where is root chakra is located on the body? Muladhara is located at the base of the spine, the pelvic floor, and the first three vertebrae, the root chakra is responsible for . For over 200 years, Western scholars have struggled to understand Hinduism, a faith whose followers seemed (to outsiders) to arbitrarily worship any one of a dozen Gods as the Supreme, a religion vastly diverse in its beliefs, practices, and ways of worship. Some Indologists labeled the Hinduism they encountered polytheistically; others even coined new terms, like henotheism, to describe this baffling array of spiritual traditions. Few, however, have realized, and fewer still have written, . Parvati is a Hindu goddess. She is the symbol of divine strength, power, love, and productiveness. she is a daughter of the Lord of the Mountains and queen Mena, as she was given a name “Parvati”. Parvati is known as the mother goddess in Hinduism. She is also known as Uma. She is also known as Adi-shakti. She is called by different other names in Hindu religion such as kali, Goddess Laxmi, Adi Parashakti, Shakti, Devi, Durga, Tripura Sundari, Sati, Saraswati, . Great Goddess, Adhi Shakti, is not only wise, violent but she is also the creator. She is very much in touch with her sexuality, fertility and related bodily functions. She is worshipped as yoni in her Kamakhya form. The name Kamakhya literally means ‘Sexual Desire.’ Kamakhya is also known as Siddha Kubjika, is an important Hindu Tantric goddess of desire who evolved in the Himalayan hills. She is worshiped as Siddha Kubjika and is also identified . 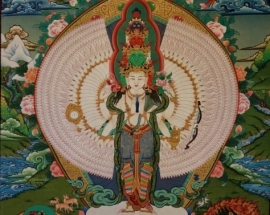 In Tibetan Buddhist circles, it will not be long before to hear someone talk about their yidam. Especially if they have been meditating for some years you will gather from the way they talk that it is something of the greatest importance for them. 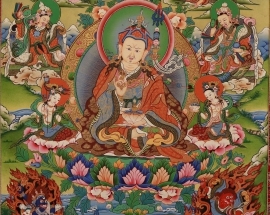 This Tibetan word literally means oath, vow, or promise, and connotes the Buddhist deity to whose meditation you are committed to whom you are linked by a promise or vow, . Tantric Buddhism usually refers to a special esoteric school of Buddhist philosophy, practice, and art ‘based on treatises known as tantras’. It emerged in northeast India during the fifth or sixth centuries CE and then formed its distinctive features around the seventh century CE. Afterward, it expanded geographically outward to the Himalayas, East Asia, and Southeast Asia. 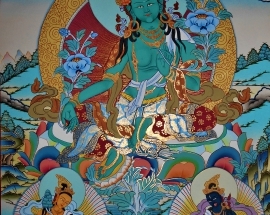 What Is Tantra? 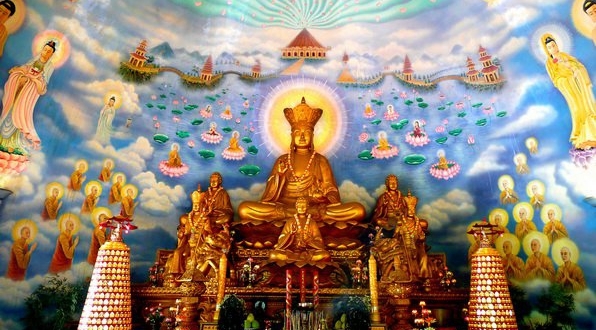 Countless practices of several Asian religions have been lumped together by western scholars under . 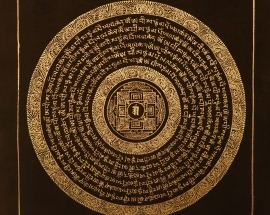 The eight auspicious symbols are called as Astamangala in Sanskrit and bkra-shis rtags-brgyad in Tibet. These symbols are the most well-known group of Buddhist symbols and are traditionally listed in the order of: A white parasol A pair of golden fishes A treasure vase A lotus A right-spiraling white conch shell An endless knot or ‘lucky diagram’ A victorious banner A golden wheel 8 Auspicious Symbols of Early Indian Assembly Originally the eight auspicious . Durga is the original manifested form of Mother Parvati or Adi-Parashakti. The meaning of Durga is “the inaccessible” or “the invincible”, is the most popular incarnation of Devi and one of the main forms of the Goddess Shakti in the Hindu pantheon. Parvati took the form of Durga to kill the demon Durgamasur. Goddess Durga and festivals In Nepal, Goddess Durga is worshiped during Dashain festival. 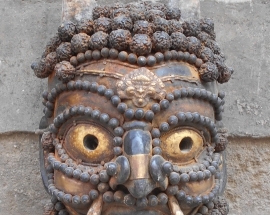 Durga is worshipped in ten forms with one form for each day in Nepal and celebrated across . 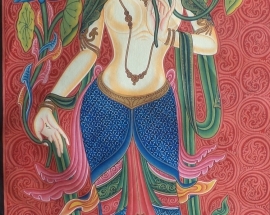 Chinnamasta is the Hindu Goddess of transformation. She is one of the Mahavidyas, the wisdom Goddesses, and is probably the most terrifying of them. She is depicted holding her own head, which she has just cut off. Origin Stories of her origin vary, but one relates that Parvati was bathing with two attendants, Jaya, and Vijaya when the attendants asked the Goddess to satisfy their hunger. After putting them off several times, Parvati looked .